Product prices and availability are accurate as of 2019-04-21 03:59:44 UTC and are subject to change. Any price and availability information displayed on http://www.amazon.com/ at the time of purchase will apply to the purchase of this product. Hold up to 48 photos (that's twice the amount of most 4 x 6 albums!) in each lightweight, portable album. 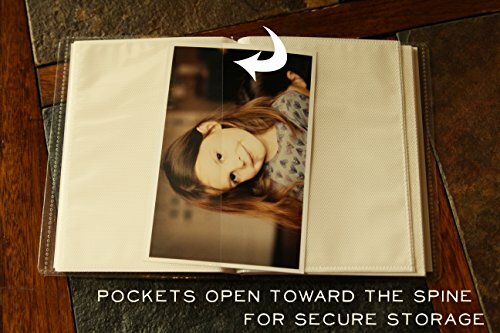 Each pocket photo album has easy slip-in pockets that open towards the spine - nothing can slip out! Covers come in assorted, random colors and patterns. Put together a photo album of your trip with photos, postcards and memorabilia. Makes a great end of year gift for teachers, leaders and volunteers in this larger multi-pack! 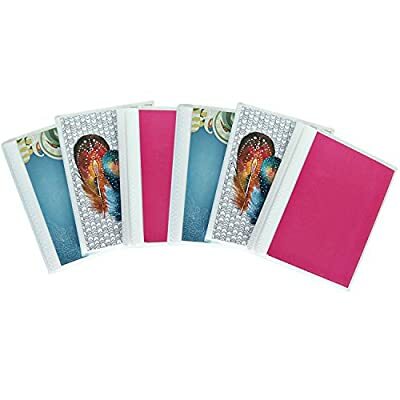 LIGHTWEIGHT, PORTABLE POCKET PHOTO ALBUMS in a variety of random, assorted cover colors and patterns. Use them to organize more than just your photos - ideal to easily flip through travel memories, busy books, flashcards, recipes, coupons, home improvement projects and anything else you need to easily sort and store. STURDY YET STILL FLEXIBLE PURSE-SIZED BRAG BOOKS feature a heavier 0.2mm cover and unique prints you won't find in stores. Each photo album in this pack holds up to 48 photos (twice the amount of most albums this size!). With all six photo albums in this bundle, you can store 288 photos. THE DURABLE POCKETS keep photos or other memorabilia secure - opening is on interior 6" edge towards the spine. Each page holds a single photo with a white background. 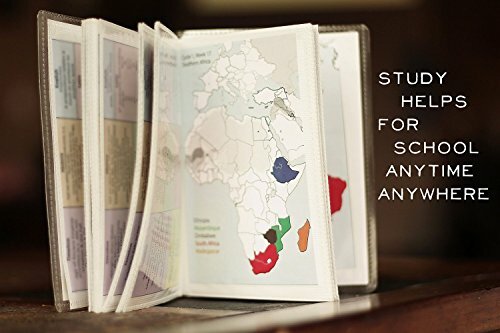 THE FLEXIBLE COVER has a cardstock insert that can be easily swapped out. Keep the beautiful covers that come with the albums, or remove them to insert your own photo or artwork for a custom, personalized album. PERFECT GIFT FOR photographers, travelers, new parents, grandparents, pet owners, graduates, newlyweds, teachers, students, homeschoolers, kids, couponers, in-home party consultants and more.